Your water line is what runs underground and moves water from one area to the next. When it becomes damaged, it can be a mess to try to get fixed and find where it is at. Knowing you have a leak is the first step and it is important that you pay attention to these to make sure that you aren’t losing money and that you get it taken care of right away. There are several signs to look out for when you think you may have a water leak. Wet Yard – If there is a spot on your yard that is constantly wet but no reason for it to be, it is probably a sign that you have a water line leak. If this happens, it is important to mark this area so that the plumber will know where the leak probably is located. 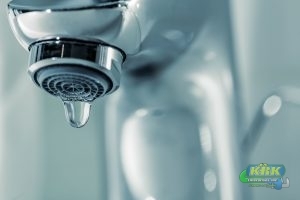 Low water pressure – If you have noticed that your water pressure has significantly gone down, you may have a water line leak. This is because a hole in the line will take pressure away that makes the water move through the line. Water Bill – If your water bill has been going up and up over a small period of time, it may be caused by a leak in the water line as well. All of these signs are important to pay attention to, as they could be telling you that your water line is leaking. If you think it is, call KRK Enterprises, Inc. at 800-330-7686 right away. No homeowner or company building owner is excluded from plumbing issues; they can appear wherever, in any plumbing area in your home or residence. Annual plumbing maintenance is a excellent measure to consider if you need to avoid restorations from becoming too costly. For this reason, it is sometimes smarter for clients to arrange plumbing maintenance services with a local plumber. With plumbing maintenance, you won’t have to worry about surprise damages later on. Each aspect of your office or house needs to be maintained in order for it to operate, and the same applies to your plumbing devices. Plumbing devices require annual maintenance to stay in good shape, but without upkeep, it can result in costly repairs. Qualified plumbers can identify plumbing issues, fix them immediately and efficiently, and expand the lifespan of the plumbing systems. These services can range from examining your drains to looking at your garbage disposal, and will ultimately get your plumbing in better shape. 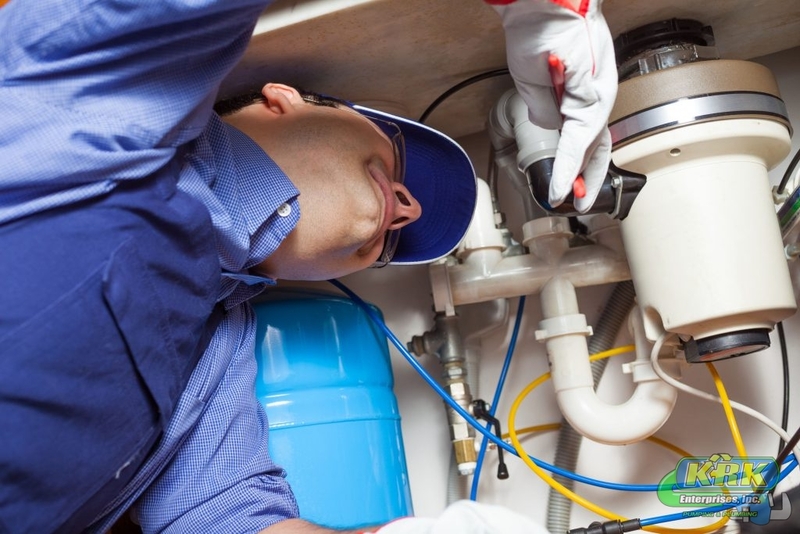 Plumbing maintenance can get your plumbing systems in great shape, and since our plumbing contractors are thoroughly trained and have decades of knowledge and skills, they are able to service any plumbing device in your residence or office. For us to identify plumbing issues, we use state-of-the-art tools and technologies to repair any problems. Plumbing maintenance accomplished by licensed plumbers is a good preventive measure, and we are here to help. To schedule an appointment for plumbing maintenance, contact our plumbing contractors now at 800-330-7686 to get your plumbing systems inspected. It seems that you never have plumbing problems until your entire family is gathered at your place for the holidays. With the endless dishwashing, showers, and cleaning, it’s no wonder that plumbing problems typically pop up during this time. However, when you do have minor plumbing issues, these quick remedies may help you get through. While this problem happens fairly often during large get-togethers, the problem can generally be fixed with store-bought drain opener solutions or by a do-it-yourself snake. Prevent backups from happening at your get-together by pouring drain opener into heavily used drains before they arrive. If the problem keeps happening, however, it could be time to call a professional. It always seems to happen that your garbage disposal begins to have problems when you need it most. Keeping your garbage disposal clean by running water down it regularly can help keep it in good working order for your gathering. However, if your garbage disposal does stop working, try pushing the small red button found on the side of the canister to reset the system and reconnect the power. 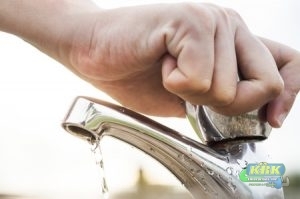 During the holidays, a leaky faucet can lead to a very inconvenient mess. Luckily, leaky faucets are usually caused by loose components and can be repaired fairly easily. Many times the seal at the base of the faucet is bad. This will require removal of the handle’s cap and replacement of the seal. When your plumbing begins to malfunction in the midst of family and friends, call our experts first for a fast, complete service that gets you back to your holiday. Call the KRK Services professionals at 800-330-7686. 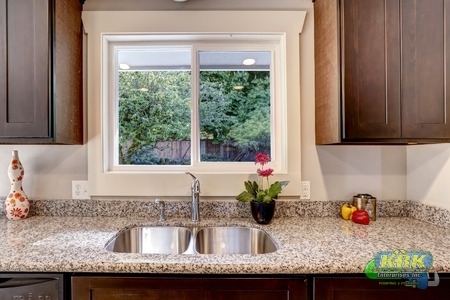 Tips To Keep Your Garbage Disposal From Smelling. The garbage disposals in our kitchens are a great component for getting rid of small scraps of food. But because of this, our garbage disposals can become very smelly due to the build-up of old food. It’s not a huge deal but it is a nuisance to have a kitchen filled with unpleasant odors. Fortunately, there are ways to keep your garbage disposal from smelling! Below are a few tips to use if your disposal starts to smell a little bad. There are a lot of people that say its okay to use lemon peels and ice to remove and clean odors, but lemon peels and ice are both hard and can do some damage to the impeller. A great way to clean and leave the garbage disposal smelling good is using baking soda and vinegar. If you don’t have baking soda or vinegar on hand, you can also use bleach. It will be able to clean and remove any lingering smell that is coming from your garbage disposal. Yes, the garbage disposal is used to discard scraps of food, but some food can smell worse than others. Not only that, some food can and will damage the impeller in the disposal. Avoid putting these foods down the disposal: grease, egg shells, pasta, rice, and fibrous vegetable scraps. You can clean the disposal lid or you can turn off and disconnect your garbage disposal in order to clean inside of it. These are great ways to keep your garbage disposal from smelling, but if you need additional garbage disposal services in Fort Pierce, FL, and Palm City, FL, call KRK Enterprises today at 1-800-330-7686. The most common residential plumbing problem is a leaky faucet. This happens frequently and is easily noticeable to the homeowner. The annoying dripping sound can cause sleepless nights. Worse, the leaks can cause a massive spike in your water bill. KRK Enterprises has you covered, and will repair the problem in no time. Another expensive plumbing problem is a running toilet. This wastes gallons upon gallons of water each day it goes unfixed. If you notice your toilet continuing to run long after pressing the flush, you have a serious problem on your hands. Like a leaking faucet, a running toilet is a common occurrence in homes. If your shower is producing a low flow water stream, you likely require a professional plumber. The same is true when your bathroom and kitchen faucets are failing to produce a solid stream of water. There could be a variety of culprits causing the problem. The municipal water supply is often responsible for this issue. Overflowing sinks and bathtubs are generally caused by clogs in the drain. This is one of the most common problems for homeowners, and many times caused by a buildup of particles within the drain. 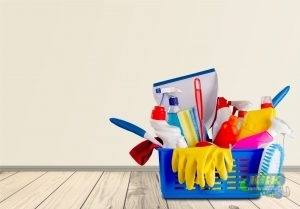 Be careful about using over the counter drain cleaners, as they can end up causing further problems long term. Call 1-800-330-7686 for residential plumbing services in Fort Pierce, FL and Palm City, FL. Slab Leaks Can Create Major Damage if Not Repaired. Many modern homes become constructed with plumbing encased within the concrete slab. Over time, as the house settles, it may cause small leaks within the plumbing. These leaks inject water into your concrete slab, and thus create slab leaks. 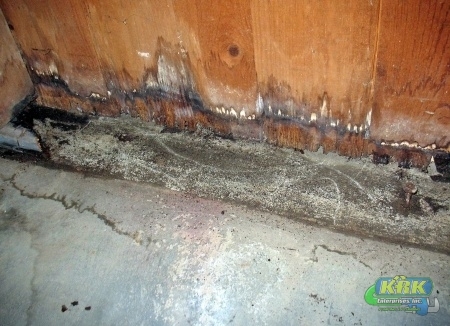 Slab leaks create many consequences for a home. Even more distressing, they can sometimes be hard to detect. To know whether you have a slab leak, pay attention for these signs. Pools of water within or outside of your home can indicate a slab leak. Since they can have multiple other sources, however, you want to first rule out other possibilities. First, check for any conventional leaks near the puddle. If outdoors, check to ensure that your water hoses remain off. If the puddle has no other explanation, you will need to contact a trusted plumber for slab leak repair. As water escapes from your hot water pipes into your foundation, if will heat the nearby concrete. This heat will pass into your floors to create hot and warm areas. If you notice that certain sections of your floor seem strangely warmer than others, you may have a slab leak. A serious sign that a slab leak has persisted for a while, cracked floors require immediate service. A problematic tendency of slab leaks occurs from lack of detection. These leaks can flow for days or weeks before a homeowner notices. If your floors have begun to crack, then the leak has probably caused extensive damage that requires immediate repair. If you remain concerned about a slab leak in Palm City, FL or nearby areas, call KRK Enterprises, Inc. today at 800-330-7686. For both detection and repair, we can serve as your answer for slab leaks. A collection of debris or grease in your sewer line can creates problems around the house. Sewer lines exist as truly indispensable components of plumbing. All of the drains in your home empty into the sewer line. If you experience sluggish drainage or an obstruction there, you can expect repercussions around the house. Worse yet, sewer line problems can become messy, and almost always require professional help. 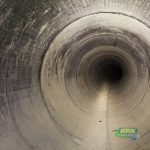 If you have a sewer line problem in Florida, call the experts at KRK Enterprises at 1-800-330-7686. As early indicators of a sewer line problem, these symptoms should require an immediate call for aid. Don’t delay when it comes to the suspicion of problems in your main sewer line, as the situation can worsen quickly. 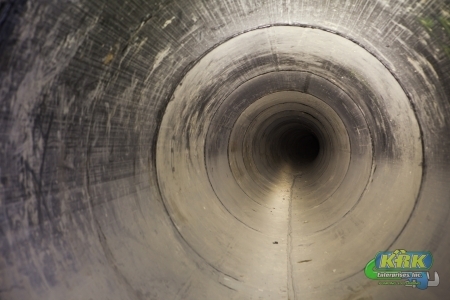 Since all of your home’s drains empty into the sewer line, consistently sluggish drains indicate a problem. While one slow drain likely indicates a localized issue, comprehensive slow drainage reveals either an obstruction or built-up materials in the main line. Bad smells in your backyard or around your house can indicate a sewer line problem. If in the back yard, you likely smell a leak from the main line itself. If around the house, then a clog in the main line has caused a collection of waste or methane. In either case, you will benefit from emergency service. Though it can seem counter-intuitive, an oddly vibrant or lush patch in your lawn most likely signifies problems with the sewer line beneath. As wastewater leaks from the line, it will act as fertilizer for the grass above, An upsurge in pests can also indicate a leak in the sewer line. If you experience any of these issues, don’t hesitate to call us for immediate service at 1-800-330-7686. At KRK Enterprises, we serve as your local experts for the detection and repair of a sewer line problem in Florida. 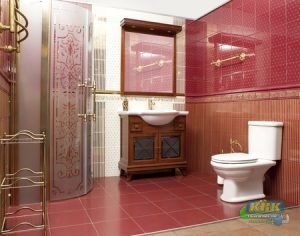 Your toilet is one of the most important parts of your home or commercial plumbing. When it breaks, your home comes to a halt. Recognizing problems can be very important in this situation. As toilets can have many different issues, being able to tell symptoms to your plumber can help them diagnose and repair it quickly. Keep an eye out for these common issues within your toilet and plumbing. Have you ever heard your toilet start to run when it is not even in use? This is called phantom flush. When a commode has phantom flush, it will continuously sound like it is filling the tank. In order to verify this is the problem, there is a simple test you can do. Once your tank has paused running, put a few drops of food coloring into the tank water. Wait and then check the bowl. If you begin to see colored water, you have a leak within your system causing the phantom flush. Weak flushing can be a big problem. There are several causes of weak flush within a toilet. The first thing to determine is the age of your commode. If it was made in the mid 90s, it may be an issue with the toilet design itself. Other causes range from the level of water within your tank to build up and clogs down the line. Having a video inspection completed can determine the cause of the weak flush of your toilet. When you flush your toilet, do you hear suction in your sink and tub? This can be caused by a blocked vent, a clog or by a leak. If you hear gurgling, you should contact your plumber to take care of the issue present and restore your commode’s function. Waiting to have this issue repaired can lead to a messy situation. KRK Enterprises, Inc provides green commercial and residential plumbing and pumping services in Palm City, Florida. Avoid the mess! You deserve the best. Give us a call today at 1-800-330-7686 for your toilet repair service! If you have a septic system, you know the importance of preventing septic system failure. Proper maintenance is important, but there is still that lingering anxiety that something could fail. Prevent catastrophic damage by watching for these signs of septic system trouble. Many homeowners may confuse a problem with their drain field as septic system failure. However, the two can develop different issues and must be resolved as quickly as possible by a professional. Whether the drain field was poorly constructed or failed due to age, if you see wastewater in your lawn, call for help right away. A sure sign of a problem is water and waste backing up into your bathtub, sinks, and other drains. This can mean there is a blockage or problem with your leach field. This is not the time for DIY repair; call your local septic experts at KRK Enterprises for repair! A telltale sign of a sewer issue is the foul, rotten egg smell. If you notice this odor coming from your drains, or even outside your home (particularly after a heavy rain), have your system inspected as soon as possible. You might have a leak or issue with your drainfield. Sinks, tubs, and toilets that are slow to drain often indicate a clog or issue somewhere in your drain line, especially if you experience this problem throughout the building. Contact a plumber right away to resolve the problem before it gets worse! 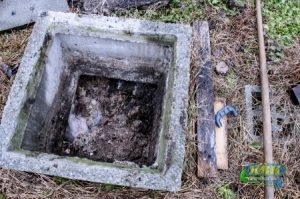 If you notice these signs of septic system trouble, don’t wait. When you need drain field services or septic tank repair in Florida, call 1-800-330-7686 for the pros at KRK Enterprises! We provide affordable and fast septic repair!